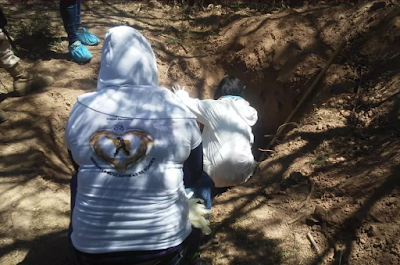 This Saturday, a group of women, relatives of the disappeared, found remains of 25 bodies, 22 of them of men and three of women, in clandestine graves located in the rural area of ​​the Municipality of Cajeme, in the state of Sonora. According to the authorities, at least two gangs of organized crime operate in the state, dedicated mainly to drug trafficking, are fighting for the plaza. In this area, 13 more bodies were located 13 days ago, among them men and women. 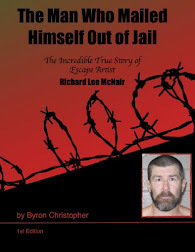 With picks, rods and shovels, is the method used which led to the discovery of 19 more pits , where it is presumed that they have already found women and a minor. The women, accompanied by at least ten experts and forensic doctors, carried sticks that they buried in the ground to look for bones, as well as picks and shovels to excavate where they found signs that the earth had been removed. More than 30 women combed about 30,000 square meters of the field, where they found clothing, jewelry, wallets, handbags and identification, as well as signs of clandestine burials. María Teresa Valadez, leader of the group Guerrero Buscadoras, (Searching Warriors), explained that the search was to provide training to other women; women who have disappeared relatives in the municipalities of the area, ie of Cajeme, Navojoa and Hermosillo in the state of Sonora. "The will can more, we have shovels, picks, rods and we will not get tired because there are still more treasures to find," said Maria Valadez Kinijara, representative of the Searching Warriors of Sonora, during her search in Camp 30, yesterday Saturday. Also known as "Las Rastreadoras", the women met with their own resources in front of the Attorney General's Office at 8:00 a.m., starting their search shortly before 10 o'clock in the morning, in the same place where they located bodies about 8 weeks ago. Cajeme, she said, is the municipality where more clandestine graves have been located and in less time, more than in any of the towns where they have searched. She mentioned that of the 8 corpses found and delivered to experts from the Attorney General's Office, on March 30, only one has been identified. For the Guerreras there are no obstacles. "We do the work of men, we are tired," they shouted for a few moments, while two elements of the Ministerial Investigative Agency (AMIC) and the Army, were present to observe the search. Still tired, they continued with their tracking. "Every time we find a skeleton, my heart beats strong, I hope it is not my missing daughter, but at the same time, my desire is to find her is strong, even if it is to have a grave to mourn for," she said, the mother whose daughter disappeared in October. On the last Sunday of March we were received by the President of Mexico, Andrés Manuel López Obrador, and on the first Sunday of April we were with the United Nations High Commissioner, Michelle Bachelet, who responded to our request so that in three months we will have our own State Search Commission, " said Valader. When the Guerreras Buscadoras (Searching Warriors) go out to search in Sonora, they are accompanied by personnel from the Attorney General's Office in the state, who had the Forensic Science Intelligence Laboratory to take samples of DNA from the bones or bodies found dead, to compare them with the samples taken to relatives of the victims of enforced disappearance. Of the original group of women seekers, all have found the remains of their loved ones, however, they continue to search every week and in five years of work have found more than 300 human remains, of which more than 200 have been identified and delivered to their relatives. In Mexico at least 2,000 clandestine graves were located between 2006 and 2016 with 2,884 bodies of people murdered and buried by organized crime, revealed an independent journalistic investigation based on data from state prosecutors. The report "Where the missing are going", in which a group of Mexican journalists has worked on for almost two years, points out that the phenomenon of clandestine graves includes 24 states of the country and one in seven Mexican municipalities. 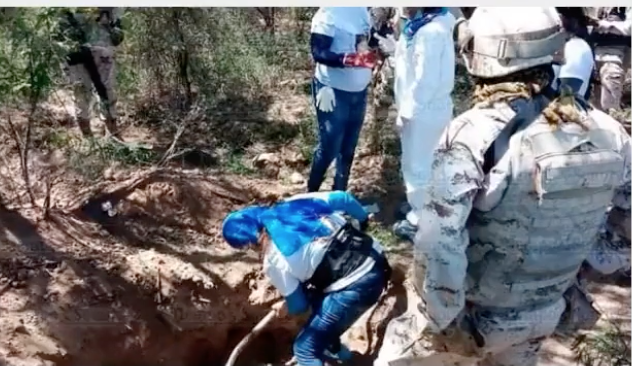 The number of bodies found in 19 clandestine graves located in the municipality of Cajeme , in the state of Sonora , rose to 27, sources told the prosecutor's office on Sunday. "A total of 19 graves were located where 27 people were apparently found," of which 24 correspond to men and three to women, in an area surrounded by farmland, they explained. 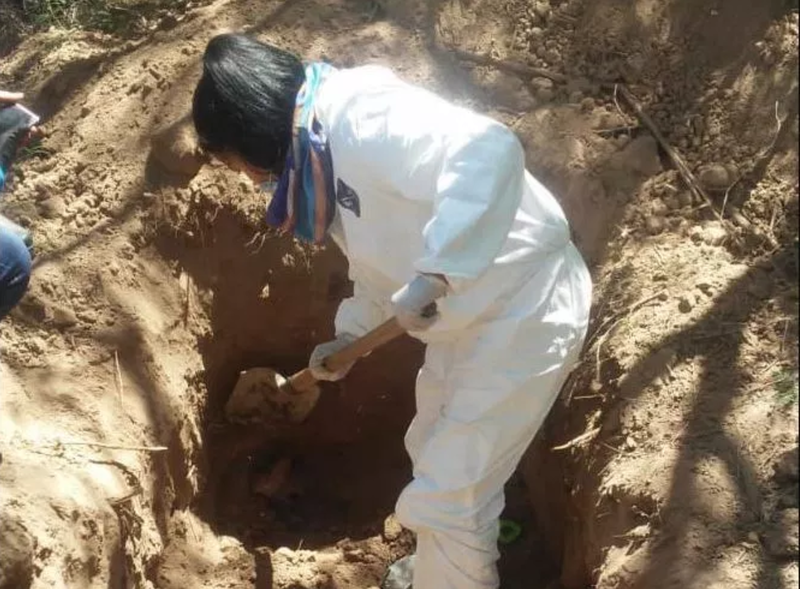 The discovery, which initially was 25 bodies, took place this Saturday after an expedition led by the collective Guerreras Buscadoras de Sonora , a group of women relatives of the disappeared, in the rural area of ​​the Yaqui Valley, Sonora. 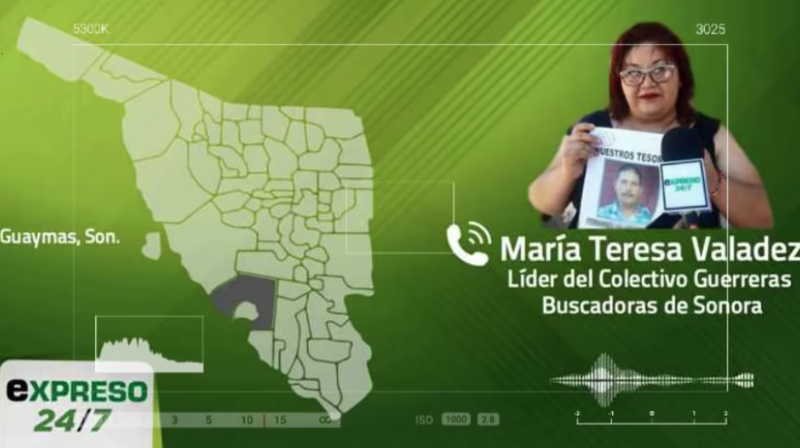 This woman, who is looking for her brother Fernando since 2015, explained that this week they managed to start the commitment of Mexican President, Andrés Manuel López Obrador, and of the United Nations High Commissioner, Michelle Bachelet , so that Sonora has a state commission of search for missing persons. 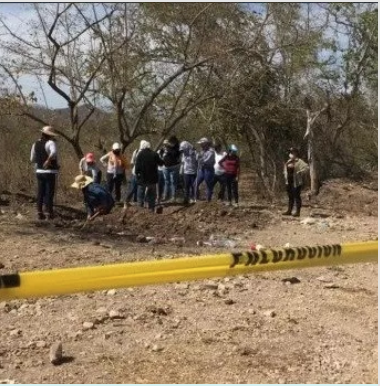 On March 31, these women found eight bodies in the same Yaqui Valley , where Cajeme is located, four men and four women. According to official figures, in Mexico there are 40,000 missing, 26,000 unidentified bodies in forensic services. 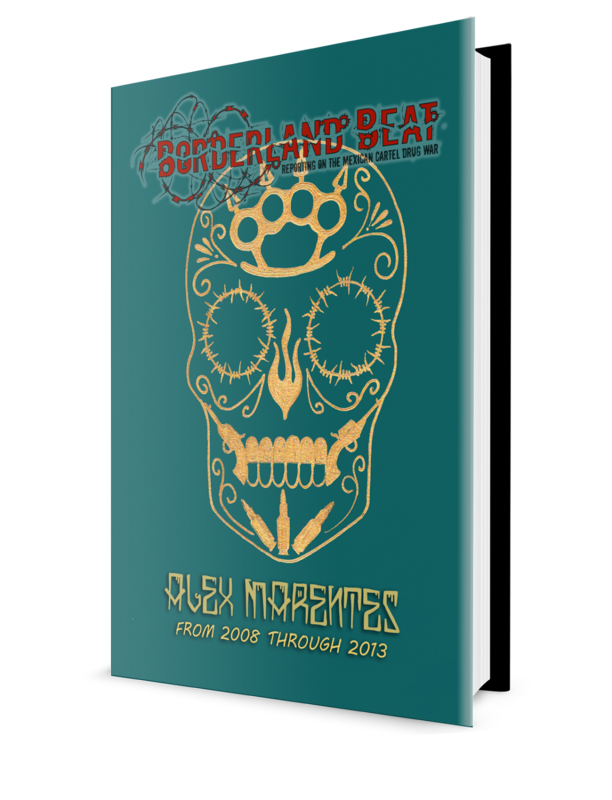 CNDH contrasts official figures in report on disappeared and clandestine graves in Mexico. Sicario006, don't forget Q7/PED R7 ...Former Chapo Bodyguard RIP Brother ! 9:53 006 dosent know about that guy. He only knows corrido and internet info. To live and die in Mexico. Treasure troves are often best undiscovered and unearthed. One may not like what they find. The love of mothers has no bounds. *The comment does not apply to women who abort their kids.